#1 "I'm going to go get a shower and go to bed, if that's okay. Where do you want me to sleep?" Where I wanted her to sleep and where she was going to sleep were two very different things. Last night while I was going through all of the review I have done, I came to the shocking realization that I never wrote a review for Just for Now by Abbi Glines *face palm* ! 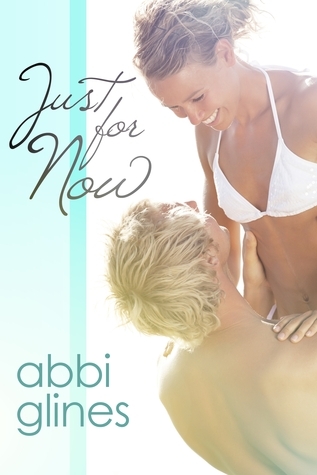 I am a huge fan of both Abbi Glines and the Sea Breeze series, so as much as I hoped I could write a full review on the awesomeness that is Just for Now, I know I won't be able to get to it soon. As a result, I thought featuring it as this week's Memory Lane Monday would not only make me feel better, but it would also be a great read for anyone needing an extra "pick-me-up" this Monday! I don't know how Abbi Glines does it, but somehow she manages to make every single one her books steamier and sexier than the last! I thought While it Lasts was hot, but Just for Now reaches A.C. raising levels (and that's saying something because where I am, snow has started to fall- making turning on my AC seem like a sign of pure madness)! The chemistry between Preston and Amanda is incredible- you just can't help falling in love with them as a couple! What I love most about Abbi Glines' books is that there is always a balance between the swoon-filled interactions and the deep, real, more serious emotions/issues that all of her characters have. Both Preston and Amanda individually and as a couple experience this same "balance"- It makes for a very emotional-bipolar book (one minute your fanning yourself, the next your close to tears)! 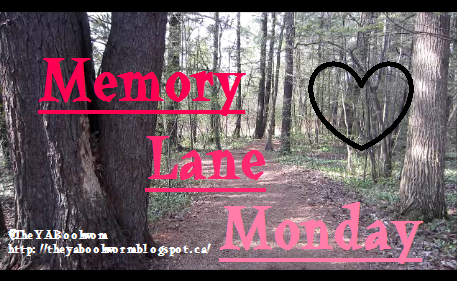 Even though I could seriously go on and on about this book, I'll leave it off here because this is a Memory Lane Monday after all ! If you haven't read Just for Now (or any of the Sea Breeze books) yet, then I highly recommend you go purchase them now because trust me, Abbi Glines makes choosing between Jax, Marcus, Cage and Preston a pretty much impossible task! Have you read Just for Now? What did you think about Mr.Hottie (aka. Preston)?! :P Be sure to let me know in the comments below! Keep Reading! I read her Existence series, but I haven't gotten around to read her Contemporary Romances. I hear they're really good! This is seriously my favorite Sea Breeze book so far. I thought Marcus was my favorite. He was my #1...... but now I think Preston is HOTTT! Her books, especially this one, is one of those books that I wish I could reread for the first time. Drupal facilitating is another idea in the web world and has astounded all the human personalities. wordpress backup To start with there was only a basic idea, web facilitating. It later formed into devoted web facilitating and modest web facilitating, the innovation just improved and PHP and ASP facilitating administrations unfolded on the web.